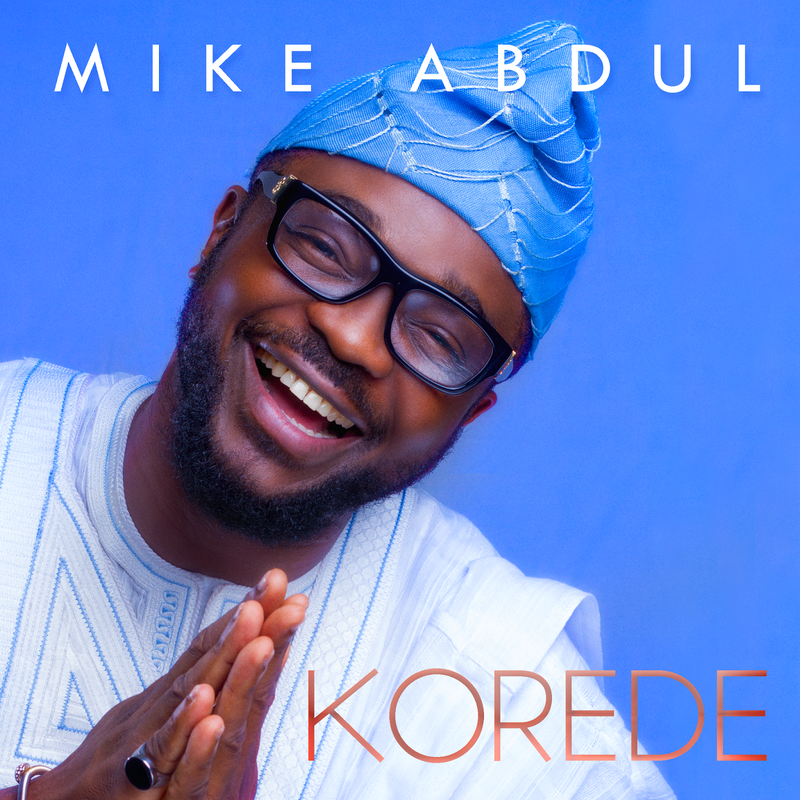 PRAIZHOUSE: NEWS: MIKE ABDUL IS OUT WITH HIS SOPHOMORE ALBUM TITLED "KOREDE"
NEWS: MIKE ABDUL IS OUT WITH HIS SOPHOMORE ALBUM TITLED "KOREDE"
'KOREDE'; The Sophomore album Of Mike Abdul. KOREDE simply means THE BLESSER. The sixteen track album features seven of the most sought after Gospel acts in the land blazing their anointed best on songs scripted to bless. The much awaited album features MoniQue, Tope Alabi, David Karnji (Infinity), A'dam, OluwaShalom, Bidemi Olaoba and Kenny K'ore. I enjoyed a healthy affection for my debut album (hit song: MoRiRe) titled GOOD TO GO. The album introduced songs like MoRiRe, Oh My JESU, READY TO PRAISE, and eleven other titles to Nigeria’s thriving gospel repertoire. The massive response tempted me to let the people enjoy the album for longer but… I simply could not muzzle the flow of inspiration that daily comes my way. So, as I am moved, I write and record and will continue to do so. Early in January of this year, during one of my quiet times, I found myself worshipping with a song I’d never heard before. As the word tumbled out of me, all I know is that I was calling the Redeemer of mankind a new name. “Korede” burst out from my spirit in honor of “the ONE who brings the Blessings”. That’s when I knew God was up to something. As the concept grew in my mind, I realized that HardWork, diligence, competence, consistency, intelligence and other qualities were requisites for success but that The Blessing from The Almighty surpasses all our efforts. I know hardworking people who became successful but I also know people who are more hardworking than most and yet are not as wealthy. I conclude that there is a factor in Destiny which cannot be questioned; something that our GOD in HIS abundant Mercies and Grace supplies to activate HIS Riches in our lives. This providence is beyond our HardWork or NetWork and even beyond economic realities. It pays to connect to the giver of life. I choose to connect through The Redeemer. May I introduce yOu to my KOREDE? KOREDE by Mike Abdul now available on all digital sales outlets and media stores nationwide .